WASHINGTON (CNS) — In the “Holy Land” of central Kentucky, religious communities have joined neighboring landowners in a campaign to stop a pipeline project that they fear will endanger the land they hold so dear. Their focus is on the Bluegrass Pipeline, which developers say will enhance America’s energy independence in bringing much-needed natural gas liquids to petrochemical operations on the Gulf Coast from burgeoning, hydraulic-fracturing natural gas operations in Pennsylvania, Ohio and West Virginia. 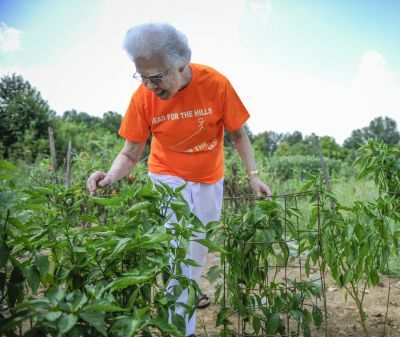 However, landowners, including the Dominican Sisters of Peace, the Sisters of Loretto and the Sisters of Charity of Nazareth, all near one another in an environmentally sensitive area an hour south of Louisville, disagree. They say the dangers posed by the pipeline and the flammable liquids it will carry pose too great a danger to the region’s fragile geology and long-standing way of life. “The idea of any tearing up the land to put a pipeline through that may destroy the water (table) is just unthinkable,” said Sister Claire McGowan, a member of the Dominican Sisters of Peace in St. Catharine, Ky., who runs an organization called New Pioneers for a Sustainable Future. The “Holy Land” moniker for Marion, Nelson and Washington counties stems from the region being the home of several Catholic religious communities that settled the area early in the 19th century. The area also has Kentucky’s highest concentration of Catholics; towns include St. Mary, St. Francis, Holy Cross, Nazareth and New Hope. 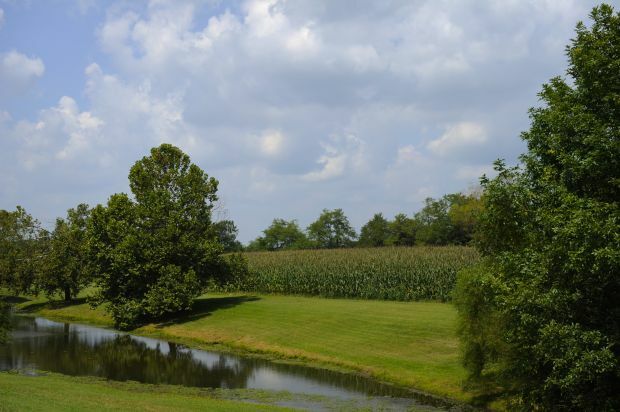 While the proposed underground pipeline would pass about two miles from Dominican property, developers originally routed it through fields and forested land owned by the Loretto Sisters and the nearby Abbey of Gethsemani. When surveyors approached the Loretto community in mid-summer to survey the property, the sisters politely but firmly declined. So did the Trappist monks. The monks declined to be interviewed. “The only thing I can confirm is that we’re not letting them survey our land for the project,” Trappist Brother Aaron Schulte told Catholic News Service. That opposition has forced Williams, the pipeline developer, to change the proposed route. “We respected that decision of theirs. So we’re perusing other routes,” said Williams’ spokesman Tom Droege. Williams and its partner in the venture, Boardwalk Pipeline Partners of Houston, continue to conduct land surveys and seek easements from landowners for the project not just in Kentucky but in Ohio, Pennsylvania and West Virginia as well. Droege said more than 90 percent of landowners along the 500-mile route have allowed their property to be surveyed. Droege stressed the company wants to complete the pipeline as quickly as possible. He said the natural gas liquids, or NGLs, it will carry — including butane, ethane and propane — are important to the world economy. NGLs, such as ethane, butane and propane, are used in plastics and carpeting, in cigarette lighters and for heating and cooking. Nowhere has the opposition to the project been as intense as it has in Kentucky though and members of the three congregations have been in the forefront. The sisters and other landowners have been spurred on by the company’s insistence that the project will move forward and that it will invoke eminent domain if necessary in order to meet its goal of having the pipeline operating by the end of 2015. Tom FitzGerald, director of the Kentucky Resources Council, told CNS that the companies’ actions are being closely watched and any effort to begin eminent domain proceedings will be challenged in court. Kentucky law is not absolutely clear whether a private company, like Williams, can pursue eminent domain action, he said. The council, he said, is pushing the Kentucky Legislature to take up the issue either in a special session called by Gov. Steve Beshear this fall or when it convenes again in January. Republican State Sen. Jimmy Higdon, whose district includes part of the Holy Land, said he opposes any eminent domain action undertaken for the pipeline. While Higdon declined to say whether he supported the project, he said he doubted it could be built without at least some eminent domain proceedings being required because of the high level of opposition to it. He also introduced a resolution approved by the state Senate opposing the use of eminent domain for the project. And officials in nine counties along or near the pipeline route have adopted resolutions either opposing the use of eminent domain to secure necessary easements from private landowners or the project altogether. “We are committed to working with landowners to spend the necessary time to acquire all survey land rights needed for the project through voluntary agreements,” Droege wrote in an email. “We’ve built thousands of miles of pipelines and we’ve reach mutually beneficial easement agreements with tens of thousands of property owners ranging from churches, schools, private enterprise and homeowners,” he explained. The Catholic Conference of Kentucky is monitoring the debate going on across 17 counties the pipeline is set to pass through or near, said Father Patrick Delahanty, executive director. Meanwhile, the sisters continue to organize prayer vigils, attend community meetings and stand alongside landowners and farmers at town hall meetings convened by county magistrates and community open houses hosted by Williams. Individual members have written op-eds and letters to the editor of community newspapers. And the sisters have taken every opportunity they can to hold up the importance of protecting God’s creation. Sister Teresa Kotturan, vice president of the Sisters of Charity of Nazareth, said she has spoken out on the pipeline because she believes land is sacred and must be respected as a gift from God. The primary opposition to the pipeline revolves around safety and the danger opponents believe it poses to the fragile geology of central Kentucky. Sister Claire noted that the region is largely made up of a feature known has karst, a porous limestone that contains deep fissures characterized by underground caves and streams. Landowners and environmental advocates are concerned that the pipeline will leak at some point, spilling natural gas liquids, or NGLs, into above ground and underground water sources and cause long-term damage to the farming and tourism industries. They cite significant leaks and even explosions along pipelines in Williams’ nationwide system that have caused deaths and injuries and millions of dollars in damage to private property while polluting natural resources. Williams has worked overtime to assure Kentuckians that they will respond quickly and appropriately should a leak occur. Its website devoted to the project has numerous pages outlining practices for regular inspections and safety procedures. The company also has pledged to follow all federal and state regulations in the construction and maintenance of the pipeline. The company’s assurances have failed to dissuade the sisters. Editor’s Note: More information on the Bluegrass pipeline debate is available online at bluegrasspipeline.com and www.stopbluegrasspipeline.us.